Springbok are a small antelope common in South Africa. 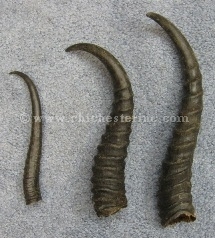 The extra large horns have a base circumference of 5" to 6", large enough to slip your fingertips into, but not your hand. They are mostly hollow. 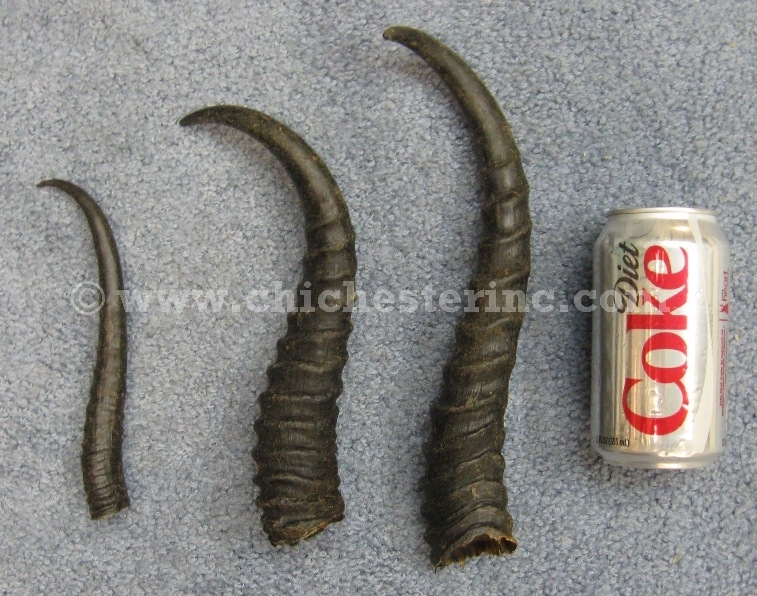 The horns come in loose. Due to the variation of shapes and sizes in these horns, we cannot sort for matched sets.